Fabulous beaches and scenery are complemented by high-quality hotels, conferences facilities and incentive opportunities, says Susan Harvey. Susan Harvey is team assistant, safety and operational risk, for BP. Based in Sunbury-on-Thames, the company held a leadership meeting on the Estoril coast in Portugal for 15 senior executives from 23 to 25 May. ... there is no time difference with the UK, it's only a two-and-a-half-hour flight and good weather is almost guaranteed, which is ideal for team-building events. The sun is always shining and people are charming and helpful. Visiting the south of Lisbon gives you access to fabulous beaches and breathtaking scenery and you are only around half an hour away from the city by car. We have previously held most of our away days in a city, so a hotel by the beach made a nice change. You can be spoilt for choice in this area. We stayed at The Oitavos, which is very modern. There are also older, Portuguese-style options in Cascais that are suitable for meetings and incentives including the Cascais Mirage, which has 18 conference rooms and two banquet halls, the boutique-style Senhora Daguia and the Hotel Quinta da Marinha Resort. Many are near some good golf courses. Cantinho de Sao Pedro in Sintra is a typical Portuguese restaurant, with fish and meat dishes. We ate at Furnas do Guincho, a restaurant right by the sea, with good service and fabulous food. 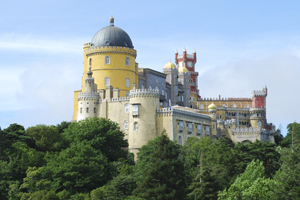 Sintra is very pretty and will give you a good flavour of Portugal. A visit to the National Park nearby is a must. Surfing along the coastline is also a fabulous experience. We did a mini Jeep safari in three separate groups along the coastline with maps. ... dine at the Michelin-starred restaurant at Hotel Fortaleza do Guincho. Wander the streets of Sintra, or you can visit the casinos for next to nothing in Estoril, which is fun, and watch the cabaret shows. Language can be a barrier - Portuguese is not that easy to get to grips with and it can be really helpful to work with local contacts. We used a company called Team Dynamics to help organise a mini-Jeep safari in the mountains and a port tasting. They were so helpful. I don't think I could have managed so well without them.